They say admitting you have a problem is the first step in curing yourself of an addiction, and while I hate to make light of addiction, I must say to you all: Hello, my name is Martin Lieberman and I am addicted to cupcakes. I have no willpower, so I am helpless whenever I see one of those mini-cakes with frosting on them. I’ve known of this problem for some time, of course. I mean, why else would I have gotten so up-in-arms about Johnny Cupcakes not selling actual cupcakes? But it’s gotten worse lately. 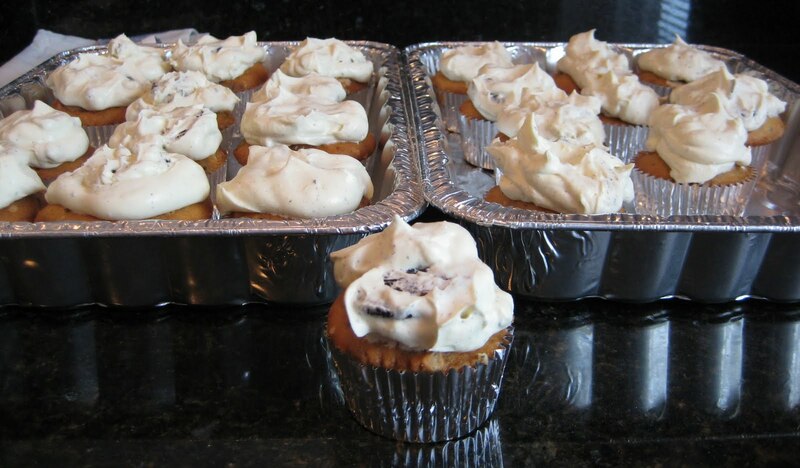 Last summer, I made cookies-and-cream cupcakes and brought them into work. Then other people started baking cupcakes and bringing them in. We even declared an almost-weekly holiday: Cupcake Monday. Things got so bad around the end of the year, right after our Super-Duper Cupcake Monday Extravaganza (which featured seven different varieties of cupcakes in one day), that I had to declare January a “frosting-free” month. When that didn’t last more than a few days, I declared the next month “Frosting-Free February” (mostly because it had a nice ring to it). But you can guess how long that lasted. Cupcake Monday did, actually, take a break, but it was back in a big way last week when it was someone’s birthday. My problem isn’t contained to just my own eating, either. My niece, Abby, doesn’t seem to like cake (or cookies or ice cream or anything sweet). But that hasn’t stopped me from trying to convert her. I thought this would convince her that cupcakes were the way to eternal happiness, and if nothing else, that they were better-tasting than those silly Goldfish Crackers she likes so much. So I had to console myself by returning to the one group of people I can always count on to indulge my love of cupcakes: my coworkers. 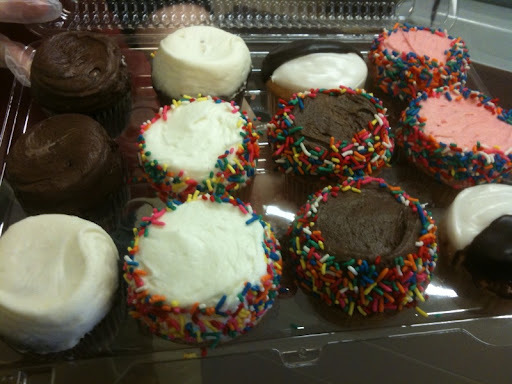 On the way home from New York yesterday, I stopped at Crumbs and picked up a dozen. To backtrack, I guess more important to the process of curing an addiction than admitting you have a problem is actually wanting to change. And truthfully, I don’t want to cure myself of this. 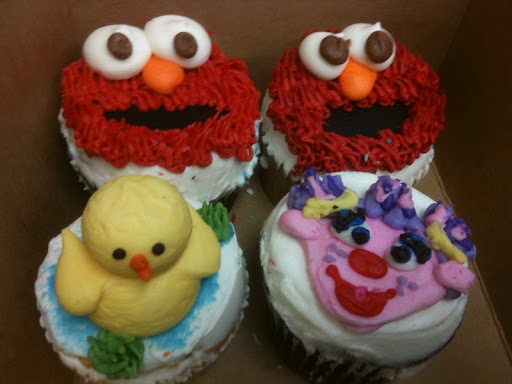 I don’t appear to be gaining any weight from my cupcake love, and I’m eating better otherwise, so it all balances out. I’m Martin Lieberman, and I like cupcakes. Is that so wrong?